I parked off of Orange Turnpike in Southfields, where there is a trailhead parking of the side connector road. 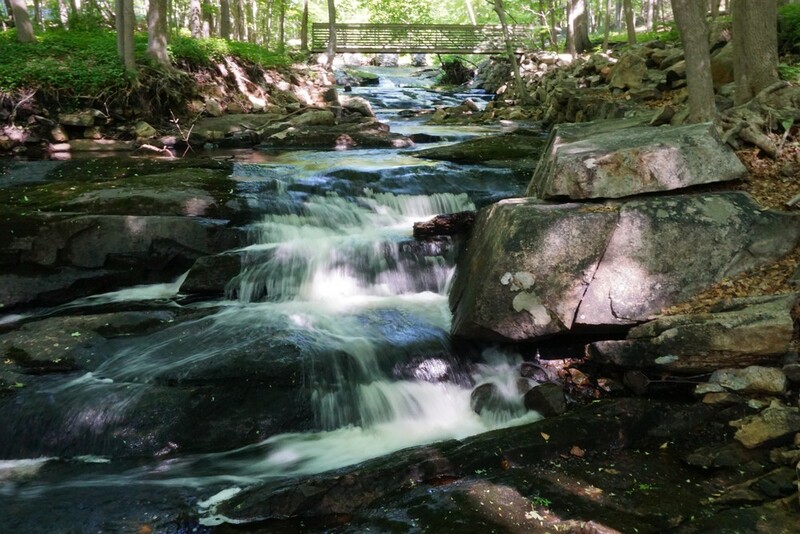 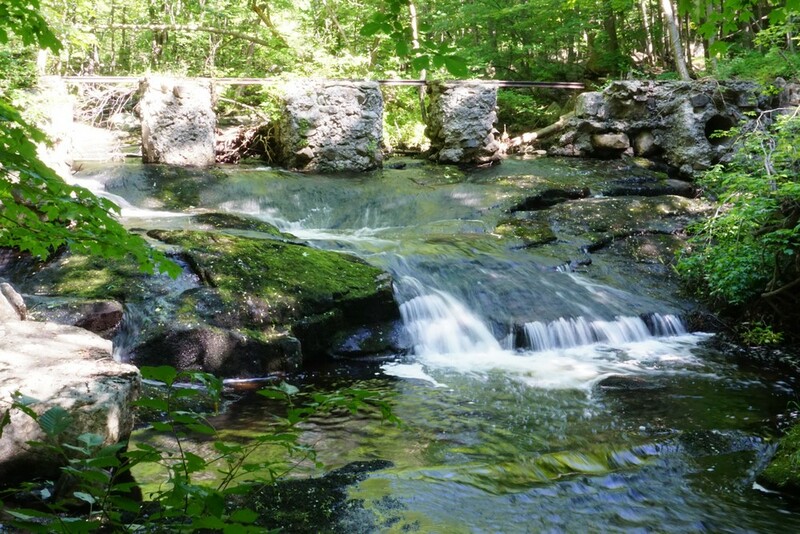 I crossed the road and took the bridge over the brook, and went east on the Furnace Loop Trail, veering off at the waterfall and furnace to take some pictures. 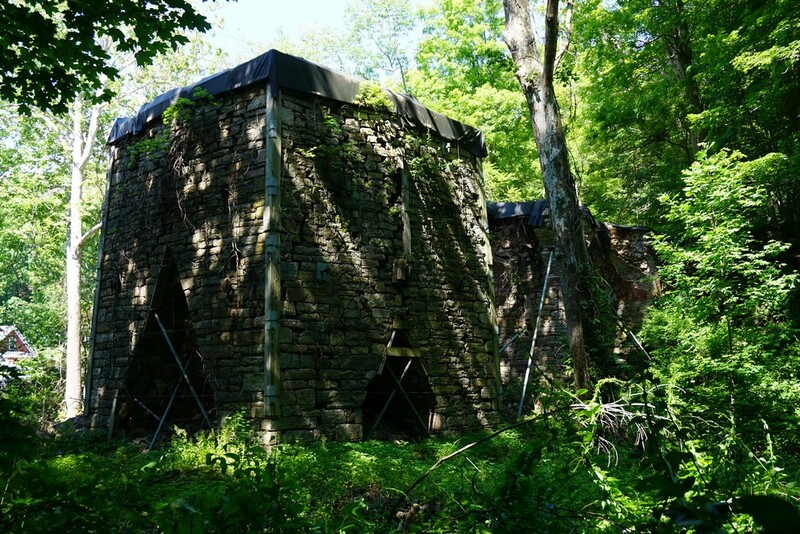 The Southfields Furnace is a giant stone structure from the 1800's that was used to roast iron ore to produce iron. 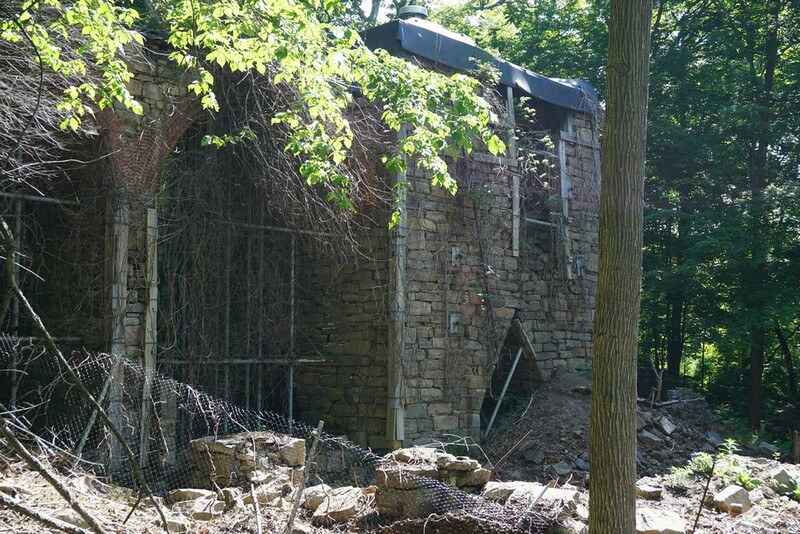 The furnace is partially collapsed and grown over, but it is still mostly standing. 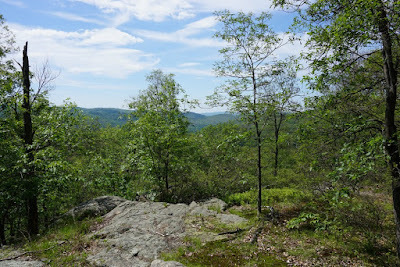 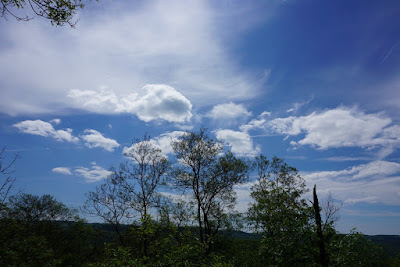 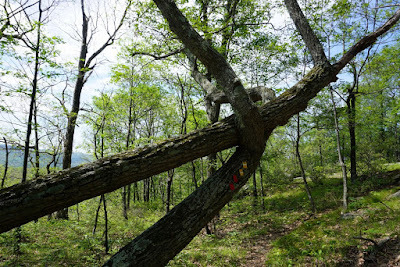 I continued along the Furnace Loop Trail, and then too the Indian Hill Loop Trail up the mountain. 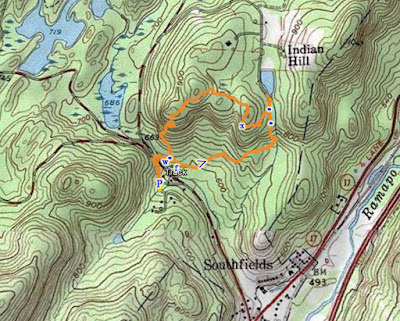 I veered off slightly on a newly formed trail that has the markings of a bird; this trail must be new since it is not on my maps nor was it there when I was last in the area several years ago. 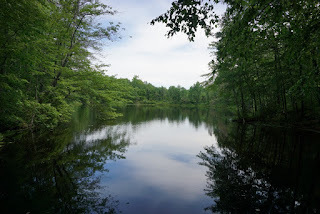 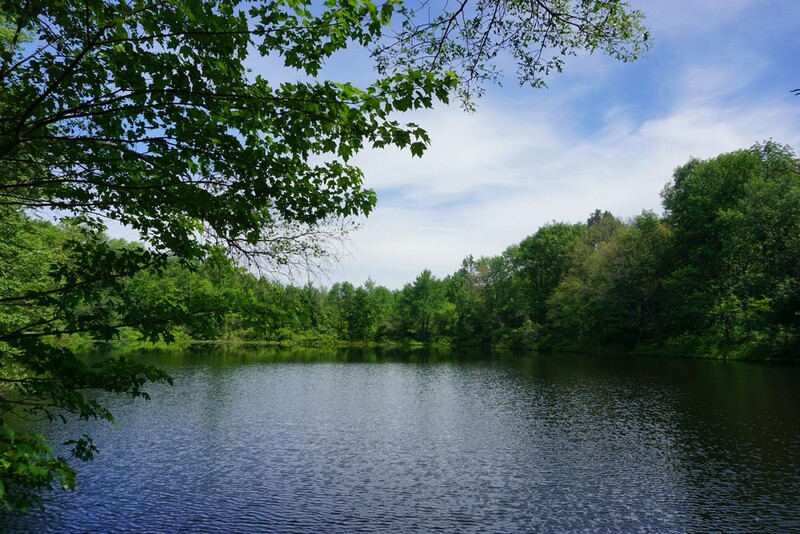 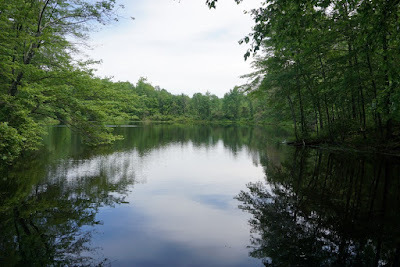 I took that new trail to the small lake, and then turned around back to the Indian Hill Loop Trail. I continued to the top of mountain, but was disappointed that the views were mostly overgrown. I then proceeded down the mountain and back across the bridge over the brook, and then back to my car. Map of the Route. 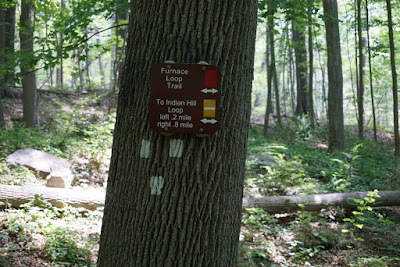 Sterling Forest Trails.